On March 25, 1911, a large fire engulfed a clothing factory in New York City killing 146 workers, most of whom were immigrant women. While the Triangle Shirtwaist Factory Fire became the impetus for the reform of building, fire, and safety codes around the United States, the event has continued to leave a haunting legacy and lesson to developing nations struggling towards similar reforms. In light of recent workplace tragedies specifically, the devastating collapse of the Rana Plaza factory in Bangladesh, a group of leading human rights and labor reform scholars and activists gathered Tuesday, on the 103rd anniversary of the Triangle Shirtwaist Factory Fire to discuss the history and the potential reforms that can come out of the Fire’s legacy. Hosted by the Roosevelt House Public Policy Institute at Hunter College, the panel discussion entitled, “From Triangle Shirtwaist to Bangladesh: The Garment Industry, Tragedy, and Workplace Safety Reform” featured Judy Gearhart, executive director of the International Labor Rights Forum; Dan Katz, provost of the National Labor College; Alice Kesler-Harris, professor of American History at Columbia University; and Dina Siddiqi, professor of anthropology at BRAC University in Dhaka, Bangladesh. 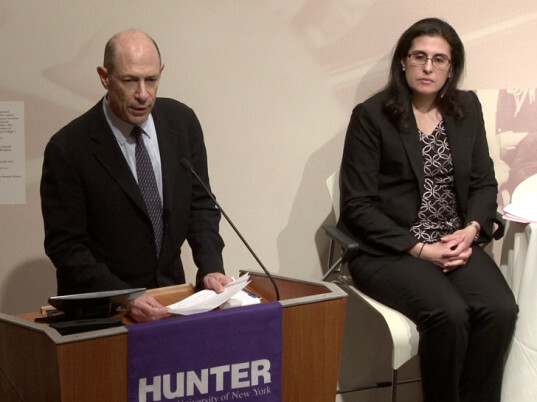 The discussion was moderated by Donna Haverty-Stacke, associate professor of history at Hunter College with opening remarks by Lawrence Moss, director of the Human Rights Program at Hunter College. The discussion examined the troubles facing current human rights and workplace safety reform within the global garment industry. 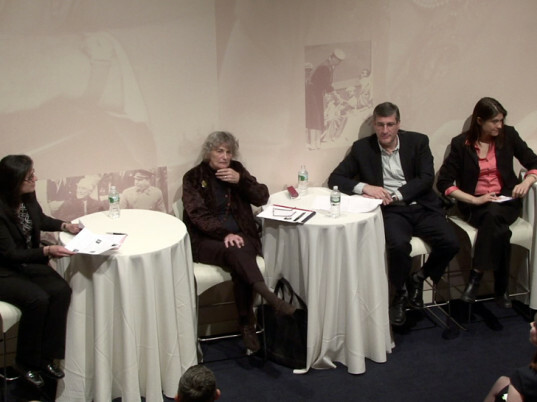 Panelists assessed the history of the Triangle Shirtwaist Factory Fire in relation to the relevance the event still has in policy struggles today. Kesler-Harris commenced the conversation by illustrating the background of the Triangle Shirtwaist Factory Fire and the historical setting of New York City’s garment industry in the 1900s. This was a time of industrial growth and specifically, a transition in the garment industry. The demand for mass-manufactured clothing lead to more factories, or “sweatshops” and along with this, an influx of cheap immigrant labors to do the work. The Triangle Shirtwaist Company was one of the largest women’s blouse makers in New York City whose factory wasn’t anything out of the ordinary. The Triangle Shirtwaist Factory was quite a modern factory for its time, with about 500 employees, relatively contemporary machinery, and 10 stories of workspace. Though there were city fire and safety laws in place like other growing, newly developing cities elsewhere in 1900s America, New York politicians cared more about attracting visitors to the city rather than upholding and developing work safety laws. Political corruption resulted in the most laws being overlooked and rendered the young, immigrant, often female, factory laborers even more vulnerable in their positions and by the mundane everyday events at the factories. “Those fire laws were routinely ignored, waived, exempted or overlooked. Such was the case in New York at the time. The political corruption not only allowed for the [Triangle Shirtwaist Factory] building to be produced without proper fire escapes but encouraged inspectors, who had just come six months before to inspect the fire hazards, to simply overlook the things they saw with a little bribe. Those things weren’t unusual then and they aren’t unusual now,” Kesler-Harris pointed out. All the panelists agreed that the routine behavior of factory life where ignoring proper safety laws is customary, is relevant today and that consumers, policymakers and leaders should understand this as part of the bigger conceptualization of the continuous dangers facing the garment industry workforce today. Gearhart added that the Fire is a way to reflect and think about solutions for the future. “We have to remember this event,” she said. Gearheart added that if we can learn so much from the aftermath effect of this past tragedy, we should be able to prevent future dangers like those happening in the factories of Bangladesh. “I hope we’re at that next, new moment [of reform],” she said of the social movement resulting from the recent events in Bangladesh. She reiterated that the conditions between the Triangle Shirtwaist Factory and the factories in Bangladesh factories mirror each other and provide for an interesting comparison. As the fastest growing apparel export industry in the world, second to China, Bangladesh has grown so quickly in this area with so little regulation. The corruption between Bangladeshi factory owners and government officials is very commonplace. Gearhart noted that solutions regarding conditions in Bangladesh are reliant on sound legal reform and transparent corporate accountability. These two things will protect workers’ rights as well as set a clear foundation for the accountability of global brands. Gearhart stressed, we need to continue the process of giving disregarded workers a voice. The discussion concluded that solutions in this sphere of labor reform are not easy to predict. Yet with more discussion and awareness, progressive change is in the foreseeable future. 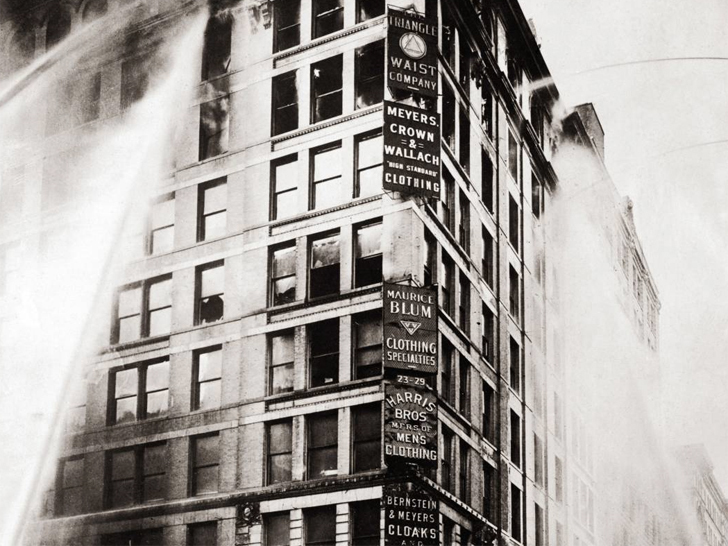 At the most, the Triangle Shirtwaist Factory Fire is a historical legacy of a tragic event that will continue to be remembered and used as an example for workplace safety reform. Remembering this event is important in progressing reform and how we think about and prevent similar tragedies from happening globally. Watch a recording of the event online here. 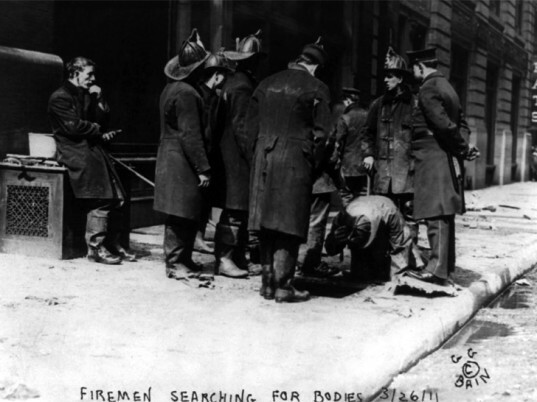 On March 25, 1911, a large fire engulfed a clothing factory in New York City killing 146 workers, most of whom were immigrant women. While the Triangle Shirtwaist Factory Fire became the impetus for the reform of building, fire, and safety codes around the United States, the event has continued to leave a haunting legacy and lesson to developing nations struggling towards similar reforms. 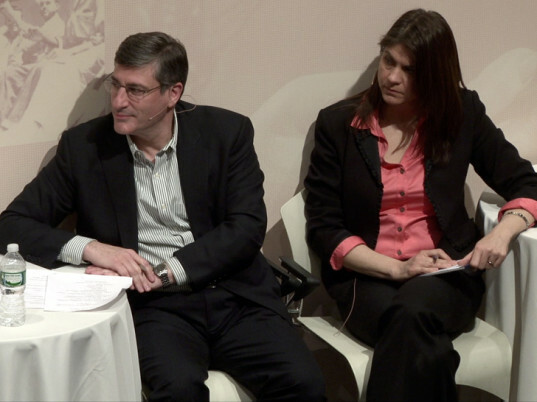 In light of recent workplace tragedies specifically, the devastating collapse of the Rana Plaza factory in Bangladesh, a group of leading human rights and labor reform scholars and activists gathered Tuesday, on the 103rd anniversary of the Triangle Shirtwaist Factory Fire to discuss the history and the potential reforms that can come out of the Fire�s legacy.